Home / Blog / Is that a robot in your swimming pool? Tokyo Institute of Technology has developed a swimming robot, so that when you are doing laps, you don’t feel so lonely. 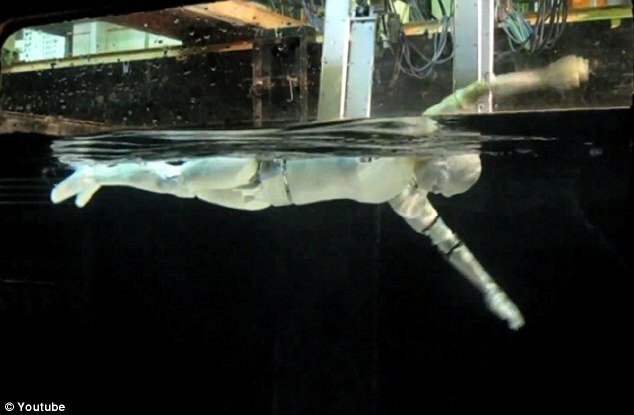 While the swimming robot in certainly no Ian Thorpe, it does beg the question…will robots be outswimming us in the pool lane in years to come? The answer is yes and no. With artificial intelligence, surely the robot knows it’s not in their best interest to win every single lap. We do need to be pushed, but sometimes we need that feeling of winning so that we can remember what that actually feels like. If you think a swim-robot training partner doing lap after lap with you and matching you stroke for stroke, and perhaps checking out your stroke and giving you feedback when you stop for a rest on how to improve your stroke or breathing – it’s pretty amazing. I’ve been in the swimming pool business per se for many years and we are always looking out for new products. We manufacture in Melbourne the swimroll pool cover, and make them for pools that have various shapes and sizes. A robot in the future will enhance your backyard safety for children and animals by whisking them off the pool cover and into safety before you even know it. But it is our SwimJet that has the most relevance for a swimming robot. If you think of the high performance, unique turbine-driven counter, on a powerful current, where you swim against the current, wouldn’t it be cool to have a robot swimming beside you giving you instructions on how to improve your stroke, and maybe the odd Siri comment to keep you on your toes? Or better still, if the robot thought you were slackening off or can swim a little harder, that it automatically makes that change for you? I’m interested in what the future holds. We were early adopters of the SwimJet because our business could see the future in families wanting more use out of their pools in summer and winter, as well as the trend of having smaller pools due to the reduced yard size. Let’s see what comes out of Tokyo!